So convenient and so versatile: In our storage boxes you can store spices, nail polish, postcards or just bits and pieces. They are stackable and tidy up your table, the sideboard or the drawers. 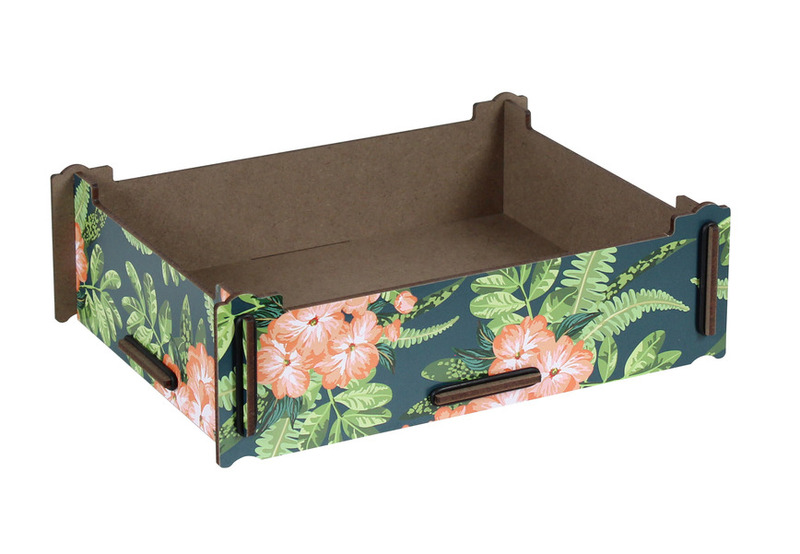 The boxes made of solid wood fibre board are available in 12 different designs: 4 wood decors, 4 graphic decors, 4 floral decors for the small ones and 4 wood decors for the big ones.